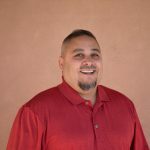 Ambrose Baros is the Executive Director of Hoy Recovery Program, Inc. 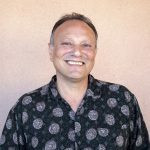 He has 20 years of experience in the behavioral health field and is licensed in both mental health counseling and addiction counseling. 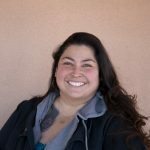 Ambrose has a Bachelor’s degree in criminal justice from New Mexico State University and went on to complete a Master’s degree in social work from New Mexico Highlands University. 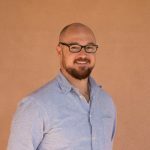 He is a lifelong resident of northern New Mexico and is committed to creating positive change in his community. 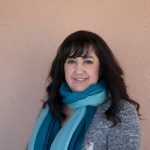 With more than 15 years of experience, Lorene Archuleta serves as Finance Manager for Hoy Recovery Program, Inc. Lorene ensures that accounting policies are implemented and enforced, maintains financial records, manages the day to day financial operations, payroll management, budgeting, and development of financial best practices. Lorene ensures that Hoy Recovery Program, Inc. is managed well, both ethically and fiscally. Her desire is to see this agency continue to grow and develop new programs for the benefit of individuals and families needing these services. Eugene has nearly two decades of in experience in the Human Resource Officer field, including human capital management, and strategic thinking, planning and change management. Eugene’s ability to strengthen the link between people and strategy, as well as manage, motivate and retain talent, is invaluable. As Hoy Recovery Program, Inc. continues to develop human resources services and the administrative infrastructure necessary to support the long-term success of its campus, his role becomes more and more crucial. During this interim period, the primary focus of his efforts will be on strategic planning for service provision and administrative infrastructure. As a manager, Eugene is deeply committed to working in a collaborative, transparent and inclusive manner, which allows him to build lasting relationships with both staff and management. He’s dedicated to positive social impact and problem-solving, and brings to his position the philosophy that employees are the core building blocks of the organization. Laurie Shannon has been working in the behavioral health and substance abuse field since the early 1980s after she got into her own recovery from alcohol and drugs. Over the years, she has worked passionately in all aspects of the treatment industry. She spent 20 years at a Fortune 500 company leading their Employee Assistance Counseling Program. Laurie currently provides Quality Assurance leadership to Hoy Recovery Program, Inc. where she has been employed since 2010. Laurie works to ensure that participants in the program receive the highest quality care possible. Alex graduated from the UNC-Chapel Hill School of Social Work with a certificate in substance abuse studies and completed his clinical internship at Duke University Counseling and Psychological Services. Alex helped co-facilitate Duke’s emerging collegiate recovery community, and prior to that, worked in clinical case management with homeless veterans in early recovery at Urban Ministries of Durham in North Carolina. 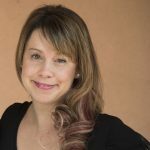 Alex primarily works with mindfulness-based third-wave cognitive-behavioral and relational modalities in the treatment of co-occurring disorders, all within a context of trauma informed care. He believes that there are as many paths to recovery as there are individuals, and places a particular emphasis on client values, vision and willingness. Alex facilitates SMART® Recovery, Seeking Safety, interpersonal process, and addiction and recovery psychoeducation groups. He aims to foster an atmosphere of insight, hope and authenticity, through which clients can walk away with concrete tools, strategies and increased self-compassion to directly apply to their recovery journeys. Alex understands that having fun is a central element to wellness and recovery and strives to bring warmth, creativity and spontaneity to everyone in the residential treatment program. 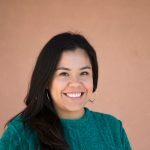 A Santa Fe native and Española resident, Christy completed her Master’s degree in social work in 2014 and holds an independent license as a Licensed Clinical Social Worker (LCSW). Social work appealed to Christy because it encompasses all the social sciences and provides an abundance of professional opportunities to assist people and communities in making positive changes. 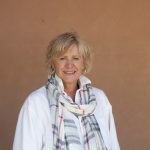 Before joining the team as a substance abuse and addiction residential therapist at Hoy Recovery Program, Inc., she worked as a community infant health therapist and a tribal social worker, and has completed internships with New Mexico Children, Youth and Families Department in the Permanency Planning Unit and the In-Home Services Unit. A southern California native, Jessica is new to the state of New Mexico. She is an alumna of University of California, Los Angeles (UCLA), having received her Bachelor of Arts in Latin American Studies and recently graduated with a Masters in Social Work from Azusa Pacific University in Azusa, CA. She has five years of experience in the field of social work, and is ecstatic to be working for Hoy Recovery Program, Inc. Her mission is to “hold space” for others, and to walk alongside them without judgment, sharing their journey. She is interested in pursuing licensure to practice individual counseling. She enjoys salsa dancing, abstract art, Latin American languages, culture, and music, and completing endurance races such as triathlons. Originally from Espanola, Dolores graduated from Espanola Valley High School. She obtained an MSW degree from New Mexico Highlands University in Bilingual Bicultural Clinical Practice.